This 34.5mm. 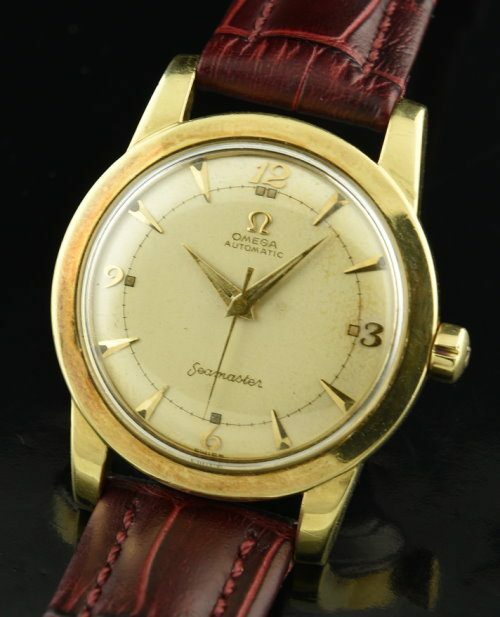 OMEGA SEAMASTER dates to 1950 having a very fine original “Explorer” style dial with Breguet style numerals and matching arrow markers and sweep seconds. The correct OMEGA winding crown is installed. The rugged gold capped case over steel with steel back has not been polished-looking great with only minor and usual marks for a watch of this age. The correct notched OMEGA winding crown is installed. The fine caliber 351 bumper automatic OMEGA movement was just cleaned and is accurate. 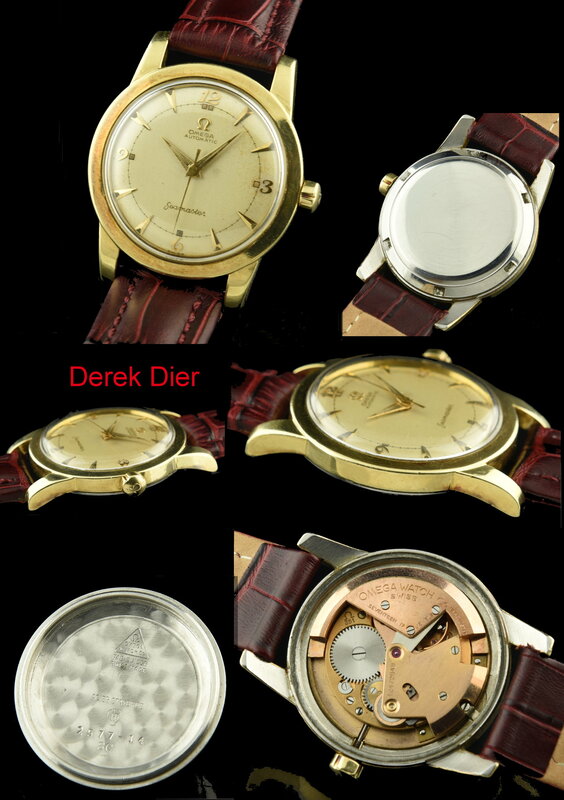 I love these 50’s Seamasters. They are highly reliable and great looking on the wrist!